Only one of the 4 new areas was due to Syncrude/NCC/Tallcree partnership. Links below. These lands are all public lands, a public trust of all Albertans. But it’s par for AB’s politics that AB government’s regardless of stripe, drive news coverage that makes it sound like corporations are doing us all an f’n favor by giving us parks, on the public’s lands! Like Taft wrote recently, the NDP got elected as government, but industry is still in power. Just for clarity on my NDP gov’t kisses the ring finger of corporations like Syncrude as deeply as the PCs did, here’s the first paragraph of the news release, and a plain reading is that all 67000 sq km were due to the partnership with everyone. And while the 1st paragraph gives credit for Syncrude being in on protecting the entire 67000 sqkm, their $2.3M was for one timber quota on the on site of Birch River 3318 sqkm. Oil’s Deep State gets its PR at every turn. And I’d be very curious to know if the PC GoA paid above industry’s costs in, to get these leases back. When these areas were announced, industry and their political supporters in Fort MacMurray screamed that they would need to be compensated for lost profits from future development. Not just any land sale purchase costs and preliminary exploration costs. The WRP caucus at the time pushed for paying the industry for lost future profits. They called it ‘takings’. And that’s an American property rights thing. That a Ted Morton brought here. 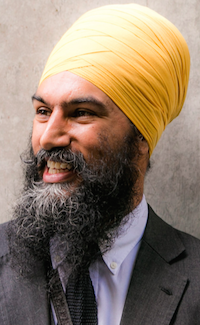 It is interesting in the pipeline debate, Mr. Trudeau talks about national interests, but Mr. Singh seems to have now succumbed to political calculations, which is not very Prime Ministerial. Its not easy to understand or balance the sometimes competing interests of this country and Mr. Trudeau can be criticized, but I think at least he understands them, having lived in several different provinces and traveled across Canada extensively and is trying to balance them. I am not sure Mr. Singh does understand them very well, his Canada does not now seem to include Alberta. Likewise I wonder if Mr. Kenney’s Canada includes BC or if he views the province as an obstacle to be pushed out of the way, dismissed or ignored. I suppose his civility initiative was doomed from the start and the go high statement was just ridiculous – the moment he jumped the shark. It is not his true character or who he is. It did not even last as long as his “grassroots guarantee”. 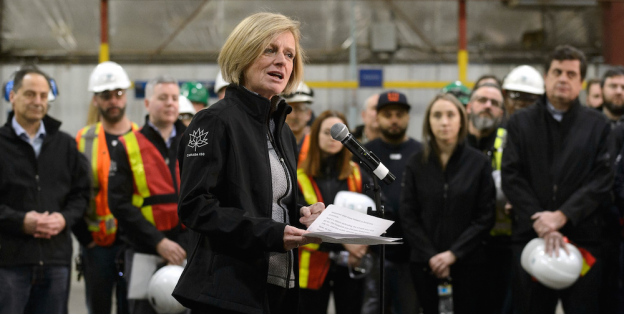 I think Albertans are starting to get a better sense of Mr. Kenney’s contractions and the hypocrisy within him, so I wouldn’t be so certain of the conventional wisdom of the political calculations of Mr. Singh. He might later come to regret writing off Alberta so soon.